At the November meeting of the Wadsworth School Board, Wadsworth Community Radio was honored for its fair and balanced education reporting and exemplary service to the Wadsworth Community. Wadsworth School Superintendent Doctor Andy Hill presented Tina Heiberg, Joe Jastrzemski and Tom Stugmyer with certificated showing that they are members of the Ohio School Boards Association Media Honor Roll. 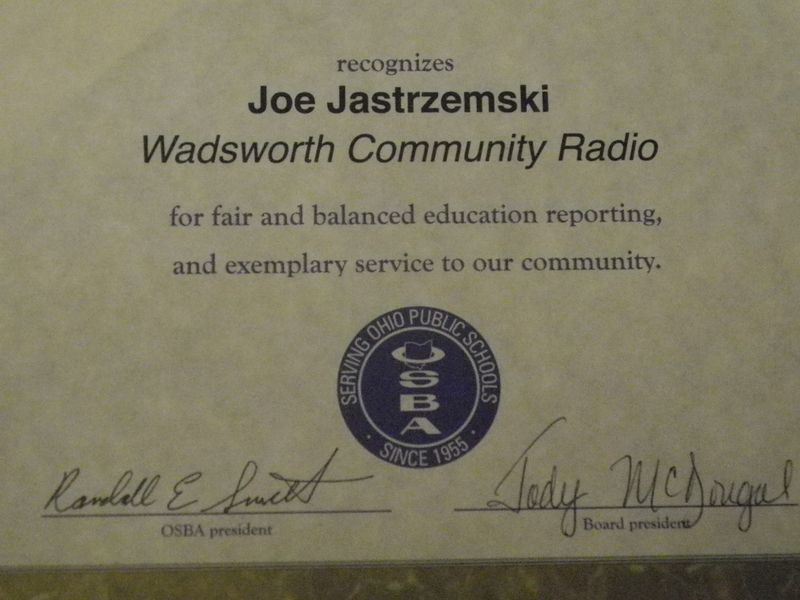 This is the third consecutive years that the staff of Wadsworth Community Radio was honored by the OSBA and members of the Wadsworth School Board.